What happens when you mix one of the greatest voices of the twentieth century with a song written by one of the great writers of all time? The answer: pretty close to perfection. 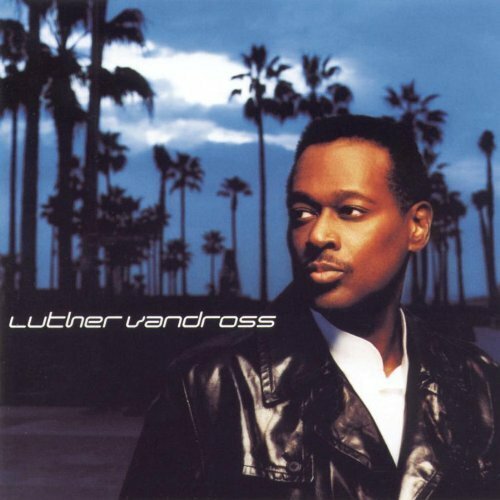 In 2001 Luther Vandross emerged from a period of musical absence to release his stunning self-titled album on Clive Davis’ newly formed J Records. Vandross, who had spent much of his time releasing records at Epic had left the company after the mixed reception of his album covers, Songs, and Your Secret Love searching for a better deal and better terms. He went to Virgin Records in 1998 and released the peculiar album I Know, that saw Vandross awkwardly paired with rappers, as well as some sub-standard songs resulting in a fairly unmemorable album. He then took some time out of recording but was wooed by Clive Davis to sign with his newly formed independent label, offering him freedom and time to complete an album. Interestingly, it was Davis who paired Vandross with Dionne Warwick and Aretha Franklin back in the eighties, hiring him to produce How Many Times Can We Say Goodbye on Warwick, and the Jump To It and Get It Right albums for Franklin. The change in label resulted in Luther Vandross and for us here at TFSR its one of his finest albums. It is mostly remembered for his Adult Contemporary groove ‘Take You Out’ and the ballad ‘I’d Rather’. But, as with many of Vandross’ earlier releases, the whole album is pretty stunning – ranging from the dance-infused ‘Say It Now’ to the heart-breaking ‘Can Heaven Wait’. As with most of Vandross’ albums there were a few covers on Luther Vandross, and, typically, these were songs taken from the Burt Bacharach songbook. Vandross was clearly a Bacharach aficionado having already transformed the epic ‘A House Is Not A Home’ into a seven-minute piece of wonder, as well as recording ‘Anyone Who Had A Heart’. On Luther Vandross he revisited two more Bacharach compositions: the Chuck Jackson tune ‘Any Day Now’ and ‘Are You There (With Another Guy)’. Dionne Warwick, like ‘A House Is Not A Home’, originally did the latter and, once again, Luther Vandross made the song his own. Vandross slowed the original tempo down, bringing a fresh new arrangement to the song. In particular the guitar solo, performed by Paul Jackson Jr, gives the song a different, grittier edge than the lush Bacharach production on Warwick’s version. This is contrasted by the velvety nature of Vandross’ lead vocals and the stunning backing vocals. A former backing singer himself, as well as being a student of the great vocal groups of the sixties, Vandross understood the essential necessity of having great backing vocalists to support his lead vocal and applied this knowledge throughout his career. Here, as with many recordings made by Vandross, his friend and singer Fonzi Thornton acts as the vocal arranger, whilst none other than Cissy Houston, mother of Whitney and singing icon in her own right, is present. There’s nothing about this song that you won’t like – it’s Bacharach meets Vandross and it’s incredible. If only they’d recorded a full album together. Wouldn’t that have been something?